Is there anything better than treating yourself? I think not. Something even better than that, is having a box delivered to your door each month with a bunch of surprise goodies. So, say hello to TreatBox. TreatBox* is a monthly subscription service, designed to put a smile on your face. I absolutely love the idea of this, because its full of lifestyle treats opposed to just beauty, for example. Its a nice little surprise to put a smile on your face each month thats for sure. 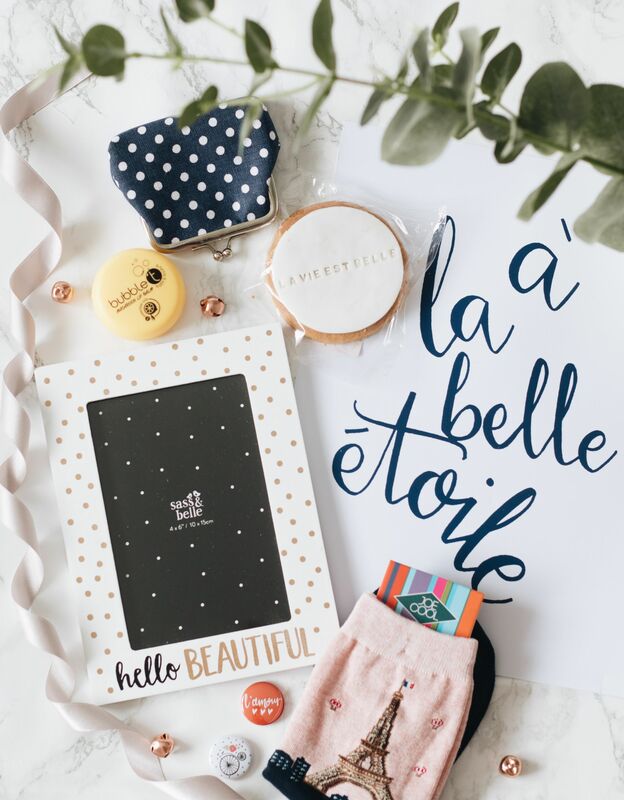 Alongside offering a monthly subscription service for yourself, you can also make up a TreatBox for a loved one/friend, how cute is that?! Anyway, I was kindly sent the July box, so I thought I’d share what was inside. The July edition has a Parisian theme to it, how blogger-esque! Lets start off with the gorgeous print shall we?! 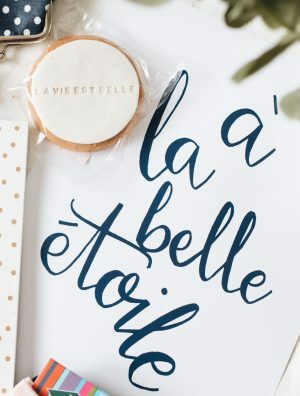 It reads, ‘à la belle étoile’ which translates to, ‘under the stars’. I’m a sucker for a good print, whether I put it up on my wall or use it for photos, I’m always grateful for new ones in my collection. Next up, is this super sweet photo frame from Sass & Belle. Doesn’t this just give you all the blogger vibes? I think this would be so lovely to give to a friend, which is probably what I’ll end up doing, due to having way too many photo frames dotted around my room already haha! Keeping with that Parisian theme, look at these gorgeous Eiffel Tower socks. I swear the older I get, the happier I am to receive socks, (is this just me or)?! You also get these two pin badges to accessorise with. I’m a sucker for a good pin badge and I’m sure these will take pride of place on one of my rucksacks. Last but not least in terms of accessories, is this dotty coin purse. I always have a coin purse in my handbag because well, I always seem to have loads of loose change to get rid of. I love how simple but chic this is. Onto the last two goodies, one of which is a lip balm from BubbleT. This couldn’t have arrived at a better time as my lip balm has just run out. This is their lemongrass and green tea scent and I looove it. Last but by no means least, a cookie! If something includes food in it, its an instant winner in my eyes. Perfect for when you want a chilled evening with a biscuit and a cuppa! Thank you to TreatBox* for treating me and I can’t wait until I have a friends birthday coming up, because they’ll definitely be receiving a custom TreatBox from me!